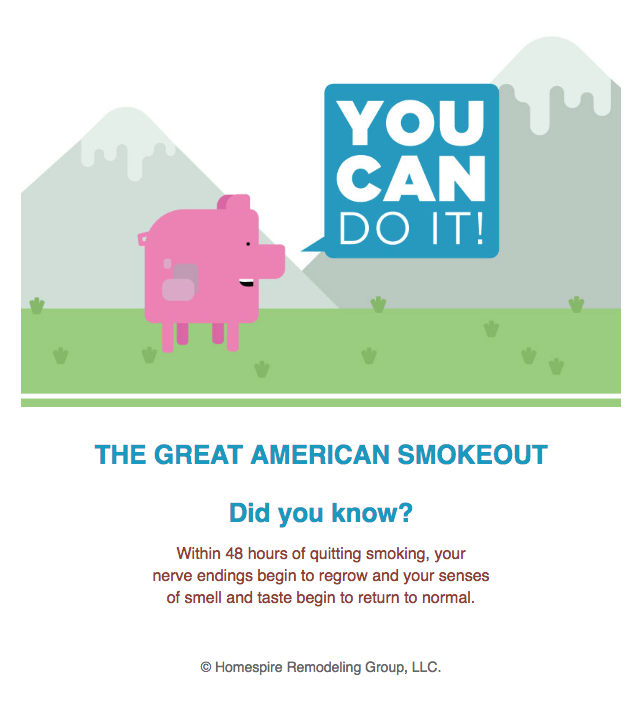 The Great American Smokeout is an annual intervention event on the third Thursday of November by the American Cancer Society. 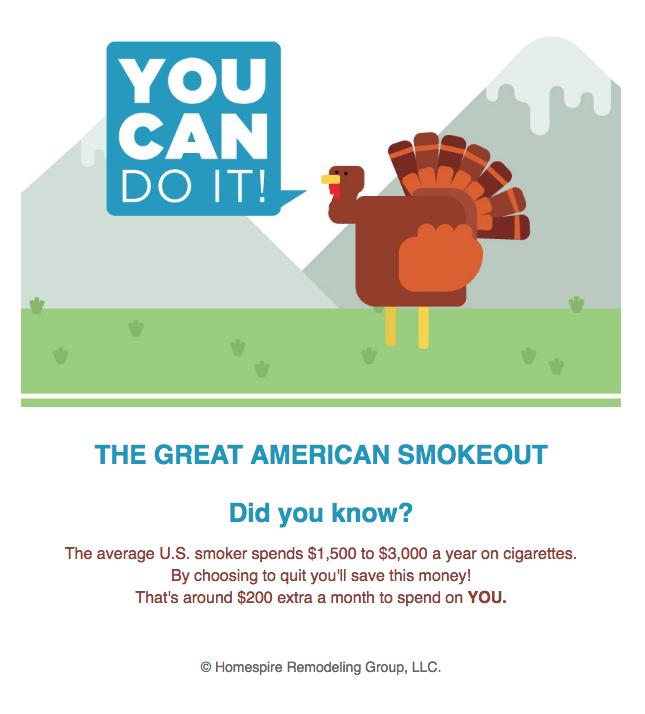 Approximately 40 million American adults still smoke, and tobacco use remains the single largest preventable cause of disease and premature death in the country. 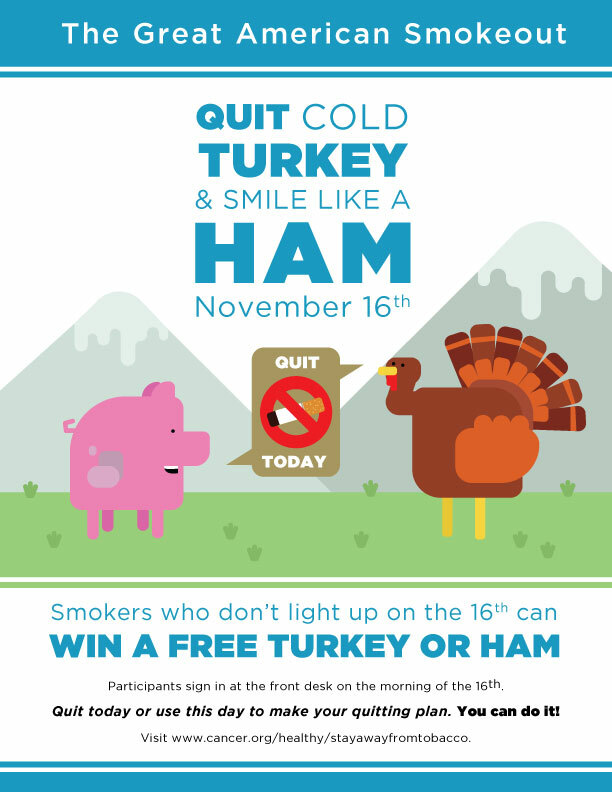 The event challenges people to quit on that day, or use the day to make a plan to quit.